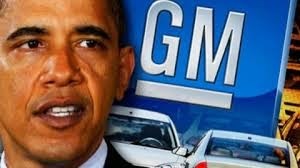 GM should follow the Obama administration and blame it all on Bush. DETROIT (AP) -- General Motors revealed in court filings late Tuesday that it will soon ask a federal bankruptcy judge to shield the company from legal claims for conduct that occurred before its 2009 bankruptcy. The automaker's strategy is in a motion filed in a Corpus Christi, Texas, federal court case, and in other cases across the nation that involve the defective ignition switches that have led GM to recall 2.6 million small cars. The motion asks U.S. District Judge Nelva Gonzales Ramos to delay action on the lawsuit until the bankruptcy court rules and other federal courts decide if the case should be combined with other lawsuits. But GM says it's not asking to halt action on a motion to force GM to tell customers not to drive their cars that are being recalled. GM has said at least 13 deaths have been linked to the switch problem. The switch can unexpectedly slip out of the "run" position, shutting down the engine, knocking out power-assisted steering and power brakes, and disabling the air bags. GM admits knowing about the problem for at least a decade, but it didn't start recalling the cars, including Chevrolet Cobal.